If you're looking for a romantic place to celebrate your newly-wedded life, then book your Fiji Honeymoon Package now. An archipelago of hundreds of islands in South West Pacific, Fiji lies almost 1,300 miles to the north-east of the North Islands of New Zealand. 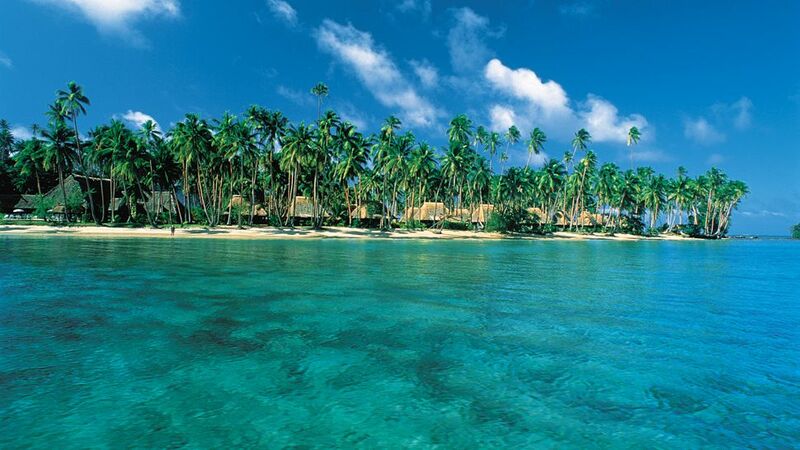 Densely forested with tall mountains, lush valleys, waterfalls, soft coral reefs and surrounded by blue and green sea waters, Fiji enjoys a warm, tropical climate. November-April is warm while May-October is cool with an average temperature of 22oC. Blessed with abundant natural scenery in the form of hills, forests, powdery beaches and pristine waters of the sea, Fiji is a great destination for honeymooning couples. Our Fiji Honeymoon Package will leave you with several memorable moments to cherish. Fiji lets you have more time to yourself as you get to know each other better, go island hopping to some remote islands, or go for romantic, star-lit dinner cruises. Those couples who are more adventurous, can indulge in snorkelling, kayaking, diving or scuba-diving in Fiji's soft coral reefs rich with colourful fishes. There are rafting and canoeing tours, as well as bush-walking, hiking through caves and waterfalls. There are others who prefer swimming, fishing or trekking, while many just love to relax on the beaches.There's no dearth of activities in Fiji, and no matter what activities you choose, you will have warm memories of your honeymoon in Fiji.